Family Edition # 3: What's In Your Makeup Bag? 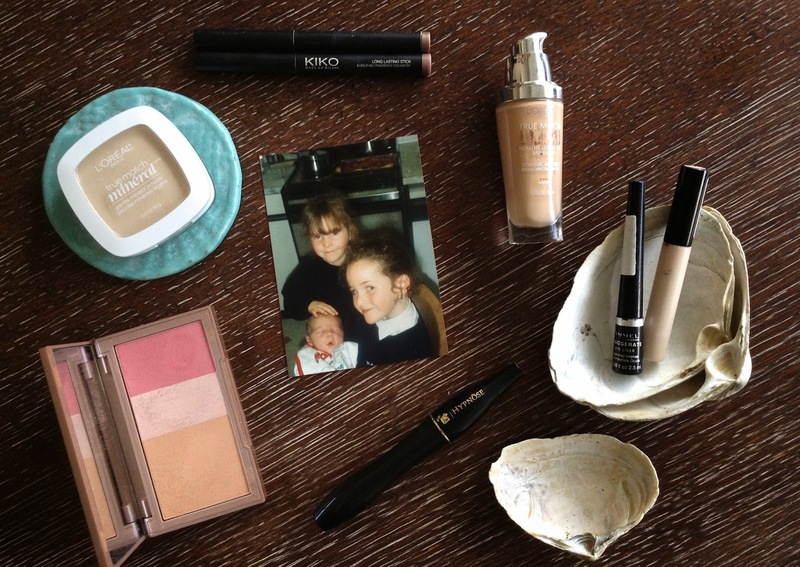 My younger sister Charlotte is definitely more of a drugstore makeup kind of girl and as she is in town for one more night I thought I would share with you the contents of her makeup bag. Foundation: Annie gave me the L'Oréal True Match Lumi Foundation a while ago as I needed a something that would cover up my acne prone skin but also wouldn't be too drying. I think that it has good coverage and it is affordable. Powder: First impressions, I like the L'Oréal True Match Minéral Powder because it gives decent coverage and it is mattifying. Concealer: The Collection Lasting Perfection Concealer is the best concealer that I have come across. It is cheap, covers well, lasts a long time and I love it. It isn't totally ideal for the under eye area (too thick) but good for blemishes and to cover up any other imperfections. Cheeks: I only recently got the Urban Decay Naked Flushed Palette and I quite like it. I needed something that could give me color and make me look 'sunkissed'. However, I have to be careful as it pretty pigmented so I blend it in with my powder and use a light hand. 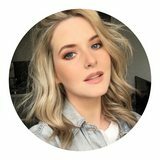 Liquid Eyeliner: I bought the Rimmel Exaggerate Eye Liner as it is affordable and you can find it more or less at any drugstore. It's a relatively good eyeliner but not my all time favorite. Mascara: I love the Lancome Hypnose Mascara because it makes my eyelashes longer, more voluminous so basically I can't live without this mascara. It definitely opens up my eyes more. Eyeshadow: Ok, this is the KIKO Long Lasting Stick Eyeshadows are the loves of my life. Good for doing a smoky eye for a night out. They are quite cheap and don't crease on me. Just be careful to keep them in a cool area or else they will melt everywhere. I have the shades 06 & 38. Great products! :) I really miss KIKO. Ooh L'Oreal True Match sounds very interesting! I used to have a l'oreal true match foundation but it wasn't quite my colour. How big is the colour range?